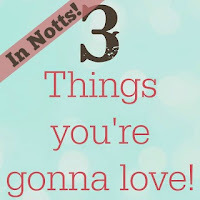 My sugar coated life...: Things you're gonna love - in Notts! Galentines Day - OK, so this has long past now but there's no reason everyday can't be Galentines Day! Created by Leslie Knope of Parks and Recreation, Galentines is all about celebrating your gal pals - this year was the first time I celebrated it and I already can't wait till next year! 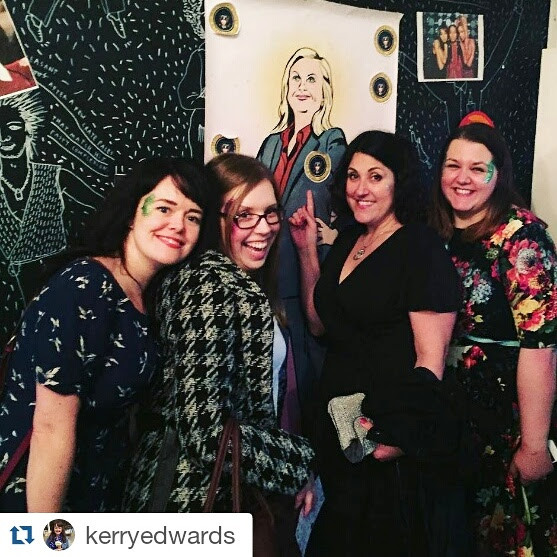 Myself and a few friends went along to an event hosted by Fan Club, held at Rough Trade in Nottingham and we had some fab cocktails, listened to some awesome music and had our faces plastered in glitter. All the signs of a fab night in my opinion! Polly and Me - I met Allie when we worked together in the shop at Sweet Success. We were like colleagues that passed in the night as we job shared the same job! 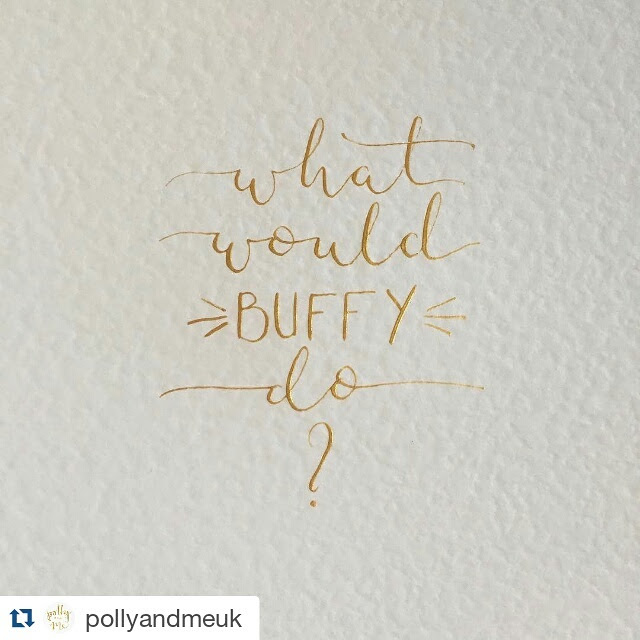 Allie has gone on to set up the loveliest stationery business and recently I commissioned this Buffy print from her to adorn my bedroom walls. I love being able to buy products from a local business and I've had a number of products from Allie over the past couple of years and each is better than the last. Allie now does a lot of amazing wedding stationery and I can highly recommend her - for her products and her general loveliness! 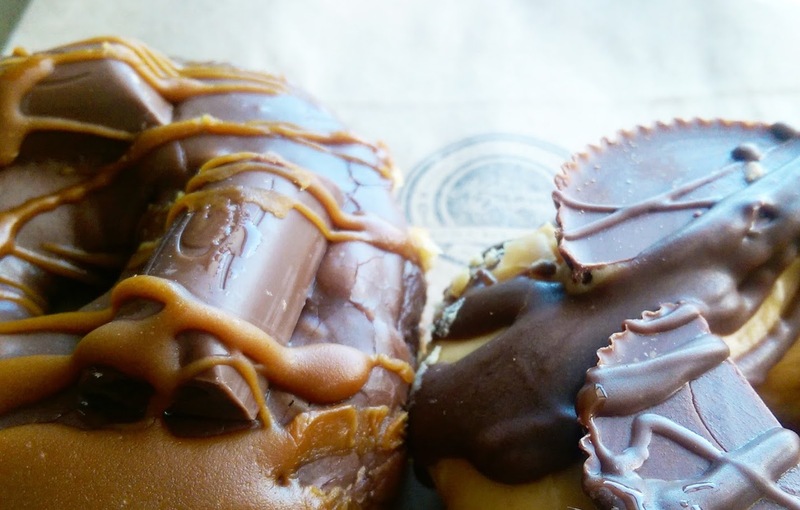 The Nottingham Doughnut Company - TNDC could pretty much feature in any round up I produce but this new Peanut Butter Doughnut deserves a special mention for being one of the yummiest doughnuts I've ever tasted from Megan and Wade! I mean just look at the photo below, don't you just want to dive in?! They've also started trialling some Vegan Doughnuts which I tried last week and I can heartily recommend them too. With the Easter Holidays creeping up, I have a list of things to do and places to visit so do let me know if there's any 'must do' things happening in Notts that I might have missed!